Vintage English Daisy Lifter. 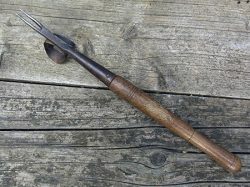 Forked head over bent fulcrum plate and ash handle. 16 inches (41cms).